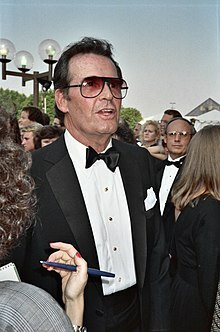 James Garner (April 7, 1928 – July 19, 2014) was an American film and television actor. Tavis Smiley, Late Night on w:PBS - 2004-06-14, Interview: with Tavis Smiley - 2004-06-14 Retrieved on 2007-09-08. On George Bush and the Iraq War. Asked why he gets up and goes to work every day. This page was last edited on 30 December 2017, at 19:51.